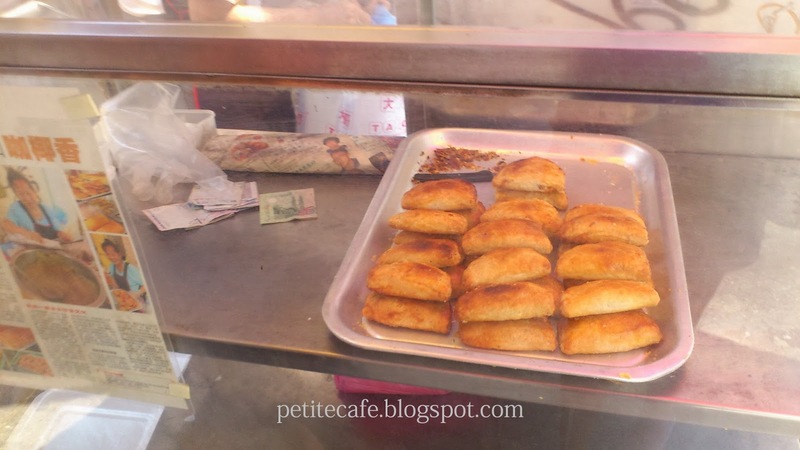 This push cart with arrays of pastries on display sells one of the best Kaya Puff in town. 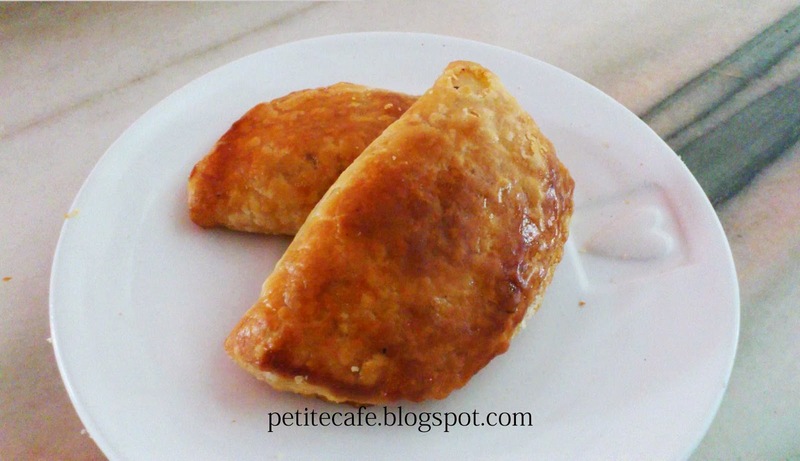 Filled with Kaya (coconut jam), the buttery puff with thin cripsy flake still retains its crispiness the next day. I love this. 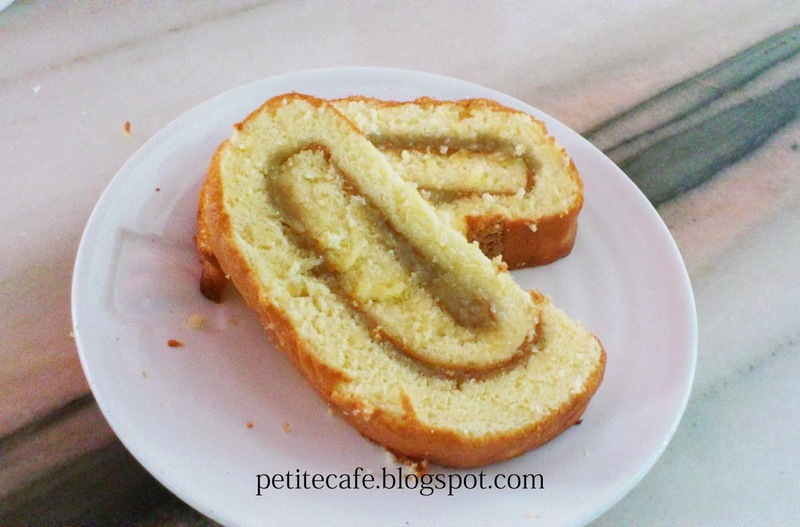 Lighter than the Western version and filled with Kaya, this type of Swiss roll is usually found in Chinese style bakeries together with other Chinese style pastries such as egg tart. We called it 'egg roll/cake' in Chinese. The newspaper clipping on her stall featured an interview with China Press, a local newspaper. 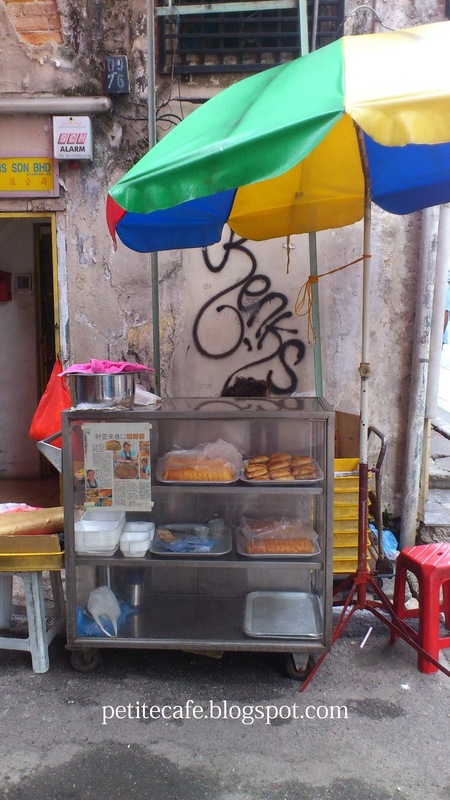 Egg tart and Kaya are also available. The old lady manning the stall has been here for a long time, one of the few old timers that are still operating their businesses in downtown KL. There are now more foreigners than locals in the area. One can see a few restaurants and shops in foreign languages catering to the workers from countries such as Nepal and Bangladesh. The old lady may not be here forever but I hope the recipe or the technique of the pastry-making is not lost.